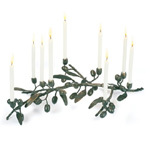 Peace and Happiness to you and yours- 'tis the season! During the holidays, the noise can get louder than desired. Our schedules fill up... more people to visit, cards or gifts to send and more to do! Turn the volume down. Breath deeply and make your short list: Cook for someone you love, make time to visit the sick, offer food to the homeless and sit by the fireplace and take an inventory of what's positive in your life- celebrate who you are and become the spirit of LOVE and HOPE today and every day. Speaking of which, we want to thank all of you for your support. More to come from our community of top music makers in 2011! Tina Turner, Luther Vandross, Boyz II Men, Whitney Houston, Gladys Knight, Johnny Hallyday, Enrique Iglesias, Randy Newman, Bette Midler, Patrice Rushen, Aaron Neville, Doc Powell, Seal, Barbra Streisand, Babyface, Christina Aguilera, Natalie Cole, Warren Zevon and many others. For more information on the musician, visit his website at: www.reggiehamilton.com. Although Hamilton wasn't initially a big 500 Series fan, the musician has come to change his tune. "I have loved the REDDI for a long time, but I wasn't really sold on the 500 Series until I tried the P1. I picked one up because I had used a Pacifica in the studio with Tony Shepperd and really liked it. So I tried out a P1 and an EM-PEQ, because the BAC-500 wasn't available at the time, and I literally fell in love. That setup with the REDDI was fantastic. When I started recording my upright with it, it was a done deal. For me, there was simply no other way to go. A-Design's' modules offer. Unlike some of the early Lunchbox units, the EM Series and other modules--like the BAC-500 and new Electrodynes--all have such a character. I don't want to play through so-called 'transparent' DIs and outboard gear. That only makes me work harder because it provides absolutely nothing. A-Designs saves me from the mundane." Warner/Chappell Signing. Warner/Chappell has signed a worldwide administration agreement with The Runners, the hit production team comprised of Jermaine "Mayne" Jackson and Andrew "Dru Brett" Harr. as a leading hip-hop production team and have also achieved critical and commercial successes in both Pop and R&B. T.I., Trey Songz, Rick Ross, Usher, Chris Brown, Akon, Keyshia Cole, Fabolous, Ludacris and Mary J. Blige. Similar to their true production idol, the legendary Dr. Dre, who created a style for an entire coast, The Runners want to serve as the new Miami sound machine for an entire region. TEC Award-winner and 2010 nominee* Vincent van Haaff has designed a luxury residential recording studio for musician Timothy "Primal Jaimal" Lovitt. The new eco-friendly studio sits on five acres overlooking LA's famed Laurel Canyon, and will house a vintage Neotek analog console, a 24 track Studer 827 Gold Series (the last one made) and a treasure of vintage outboard gear, as well as a full complement of Avid / Pro-Tools hardware, two vintage EMT reverb plates and an EMT 250. Van Haaff and his Waterland Design LLC are responsible for some of the world's most renowned recording studios, including work for Conway Recording, Record Plant, Village Recorder, Capitol Studios, Interscope, Sony Studios in New York and Santa Monica, plus studios in Japan, Australia, and Italy. Architecture of the project is handled by Gus Duffy Architect AIA, David Reith (structural), Earth Systems Consultants So Cal (geotechnical), and electrical is handled by Art Kelm (Ground One) and VME engineering. "The big challenge here," explained van Haaff, "was designing a complete recording studio and residence in one package.The kitchen is accordingly furnished with professional grade equipment, and a glass conservatory is convertible as a piano recording room or guest room, with adjustable acoustics. 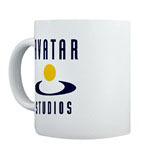 February 19-20, 2011 in NYC at famed Avatar Studios. METAlliance is a strategic union of music producers and engineers dedicated to the highest standards of audio and delivery of music, securing the art through recording technology in all its evolving modern forms. Attendees will participate in four sessions, each designed to provide different experiences in the recording process and led by the founding members. 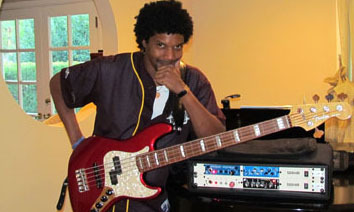 Over the past six years, Hamilton has turned many other musicians, engineers and producers on to A-Designs' REDDI, including fellow bassist and mentor Stanley Clarke, Paul Jackson Jr., Tonight Show music director Rickey Minor, producer/engineer Tony Shepperd, producer Matt Serletic, drummers Curt Bisquera and Ricky Lawson, and many others. "A funny thing happens when a person gets a REDDI. It's like a boy getting his first pocket knife--he has come of age and won't let anyone touch it. Most of the people I know that have them won't loan them out. I certainly don't. Even if I go into a studio that's on lockdown for a week, I'll take it with me when I go. And I even have another one at home that never goes out--it's just for me. The REDDI is just that important and integral to everything I do." A staircase tower will function as an oxygen generating greenhouse. The goal is to make the facility self-sustaining and "off the grid" in the coming years, by using the latest in photovoltaic solar energy and grey water/rain water collection systems. The swimming pool will contain salt water to minimize environmental damage from chemical runoff and will be self-flushing through the solar heat collection system that provides radiant heat floors.The thermal insulation of the house provides acoustical isolation and will result in one of the most energy efficient structures in Southern California. 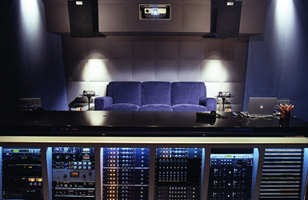 Connected to the latest fiber technology and satellite, it is a music recording space capable of streaming media worldwide. Over 25 years, Focusrite has earned a reputation for bringing superb audio quality and engineering excellence to an array of audio professionals. Whether youre looking to preserve the sound of your classic microphones, or searching for the perfect front end for your digital studio, the ISA428 MkII brings legendary tools to your studio at an exceptional new price. Geoff Daking and Company, Inc. will launch the new Mic Pre 500 single-channel microphone/instrument preamplifier module at the 129th AES Convention in San Francisco. Derived from the company's Mic Pre One freestanding unit, the Mic Pre 500 is designed for installation in 500 Series format equipment. The new mic pre features switchable phase, 20 dB mic input pad, +48V phantom power, and a selectable quarter-inch line/hi-z instrument input. Like the Mic-Pre One, the Mic Pre 500 shares the gain structure and Class A, fully-discrete transistor circuitry design of Daking's popular Mic Pre IV. The front panel controls include a variable high-pass filter (0-200 Hz) as well as continuously variable input gain. It also includes an eight-segment tri-color LED meter with simultaneous VU and Peak is included. Made in the USA, the Daking Mic Pre 500 has an MSRP of $650.00. For more information on Geoffrey Daking & Co contact Brad Lunde or Phone (702) 307-2700 or visit www.transaudiogroup.com. For twenty-five years, engineers and producers the world over have associated the no-nonsense blue faceplate and white typeface of TUBE-TECH analog processors with the lush, dimensional sound they impart to any audio that flows through them. TUBE-TECH president John G. Petersen continues to craft their equipment with simple, elegant circuitry using only premium-grade components. From the start, Petersen designed TUBE-TECH gear using only vacuum tubes in the active signal path and only transformers on the inputs and outputs. Since the first the design of the first Program Equalizer PE 1A in 1985, over 15,000 TUBE-TECH units have shipped from the headquarters of parent company Lydkraft in Denmark. Because their lifetimes are measured in decades, almost every one of those units is still helping make the music of today sound much better than it would have otherwise. Before TUBE-TECH became a reality, Petersen had received a degree in electrical engineering from Danish Post and Telegraph and took a job in 1972 at the Danish Broadcasting Company (DBC). In his role as maintenance engineer, he received factory training at Solid State Logic, EMT, Studer, Sony, Neumann, NTP, and Lyrec. His genius for inspecting, understanding, and repairing audio circuits paved the way for TUBE-TECH. 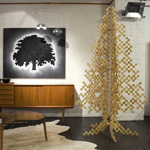 "A friend of mine was opening MOX Studio in Copenhagen in the mid-1980s," said Petersen. "I helped him refurbish all of the gear that was going into it, including two Pultec equalizers. I was skeptical about those boxes. They looked like they belonged in the city dump! But they tested nicely and, more importantly, they sounded amazing." Petersen and others could already see that the demand for Pultec units was increasing just as their supply was decreasing. A Denmark-based retailer suggested that it would buy twenty units, if Petersen could deliver a sonic replica of the Pultec EQP-1A. Instead, he built thirty, and sent a few of the remaining stock to a distributor in New York. "They liked them," he said. "And they wanted more." For five years, Petersen worked out of his garage during off hours, still keeping his day job at DBC. He continued production of the TUBE-TECH PE 1A, and branched out to design and build the CL 1A compressor and MP 1A mic-pre/DI. The now famous blue faceplates were a simple consideration of aesthetics. "It appeared to me that all of the other manufacturers were building equipment with black or metal faceplates,"
Petersen remarked. "That seemed boring to me, so I thought: Let's add some color! And blue is my favorite color, so there you go." Around 1990, Petersen shed his DBC job, hired a small team of exacting technicians, moved out of the garage, and went after the TUBE-TECH paradigm without distraction. In the two decades that followed, Petersen has continued to design modern-day classics. Today, the TUBE-TECH catalog features single-channel and dual-channel opto compressors (CL 1B and CL 2A); a Fairchild 670 homage (LCA 2B); two stereo multi-band compressors (SMC 2B and SMC 2BM); two parametric equalizers (EQ 1A and EQ 1AM); a passive midrange equalizer (ME 1B); the now-famous Pultec replica (PE 1A); a dual-channel mic-preamp and DI (MP 1A); and a twenty-input stereo summing amplifier (SSA 2B). In addition, TUBE-TECH offers two recording channel units that combine preamp, equalization, and compression (MEC 1A) or preamp and multi-channel compression (MMC 1A), as well as a new RM modular series that allow users to build custom units that compromise absolutely nothing in build or sound. The ISA microphone preamplifier was first introduced back in 1985. This transformer-based preamplifier formed the first half of the ISA110 mic pre and EQ module on Focusrite's critically acclaimed Forté console. This console, and the later Studio console were hailed by many as the finest sounding consoles ever built. The ISA microphone preamplifier went on to form the cornerstone of all ISA and RED Focusrite products. The topology has never changed, except for the addition of a variable impedance circuit, allowing ISA users to either perfectly match the preamp with any microphone, thus maximizing level, or to use different settings creatively to shape the sound of the microphone being used. Through all of this, Petersen has never strayed from the core design principles that went into the original PE 1A. Most obviously, every piece of TUBE-TECH equipment is centered on vacuum tubes. "Simply put, tubes sound pleasant to the ear," said Petersen. "They treat signals with respect. But perhaps more profoundly, they place serious constraints on how much circuitry you can build into a unit. With a solid-state design, an engineer is free to add circuitry with very little penalty, which can start you down the road of 'fixing' perceived faults in the design with even more circuitry. Unfortunately, the end result is usually something that sounds worse than if the original circuit had been improved from the start. TUBE-TECH equipment has at most six active elements, an upper limit based on considerations of space and heat. As a result, I have to design very simple circuits. There is no 'patch' that I can use to fix a circuit's faults. It has to stand by itself." TUBE-TECH's future looks to be as flawless as its past. Petersen has no plans to build "entry level" equipment, nor is he looking to invent some unimaginable new paradigm in analog processing. The company is so successful because it builds professional-grade equipment of unsurpassed quality and unquestionable utility, and this is exactly what it will continue to do into the future. For more information on Tube-Tech contact Brad Lunde or Phone (702) 307-2700 or visit www.transaudiogroup.com. LasVegasProAudio.com, LasVegasProAudio.com, a division of TransAudio Group, is the launch pad for the brands of tomorrow. The goal of LasVegasProAudio.com is to provide unique equipment, useful information and long-term support to their clients.LVPA product line includes: Accusound Cable, Economy 50mm Shockmount,Enhanced Audio (Ireland), PAULY Superscreens (Germany)Sonodore Microphones (Holland) Liverpool-based Studiocare Professional Audio will distribute Daking Audio and Bock Audio in the United Kingdom. studioexpresso Presents Rock, Record and Roll! Who gets cool session gigs and why? 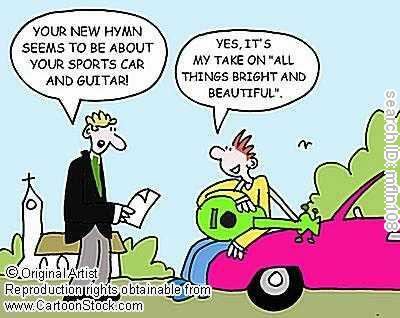 When do you need to hire a music arranger? Why more producers are wearing the A&R hat? What can the right engineer/mixer do for your session and how to find them? What's are two of the most significant clauses in an Artist-friendly production contract? How to spotlight your studio with toys that don't require mortgaging your house? Hear credited and award-winning music guests share their take on today's music production trends and offer helpful suggestions for independent audio professional to stay on top of their game and grow their business. NAMM HOT ZONE panel presented by studioexpresso: "Rock, Record & Roll." Brent Fischer music credits are on over 30 million CDs for Pop, R&B and Jazz royalty such as Usher, Raphael Saadiq, Michael Jackson, Prince, Al Jarreau, Toni Braxton, Dianne Reeves, and Vanessa Williams, to name a few. Brent Fischer has carved a niche in the world of orchestral arranging, having worked with father, composer/arranger Clare Fischer for over three decades. Brent Fischer is currently Executive Consultant at Fame Wizard, a revolutionary Internet music services company dedicated to independent artist career development.Brent Fischer is also Director of the Clare Fischer Bands, which include: The Clare Fischer Big Band, The Clare Fischer Latin Jazz Group, The Clare Fischer Jazz Corps, a unique 30 piece ensemble, and The Clare Fischer Clarinet Choir. Simon Phillips is one of the most versatile and respected drummers today. His prominence as a drummer was established playing and recording with celebrated artists such Pete Townshend, Toto, Jeff Beck,The Who, Mick Jagger, Jeff Beck, Stanley Clark, Gil Evans to name but a few. Phillips stays busy doing sessions and production work in his studio, Phantom Recordings. Simon's producing, engineering and mixing credits include Mike Oldfield, Derek Sherinian, Toto and PSP (Phillips, Saisse, Palladino). Brad Lunde founded TransAudio Group, the premier distributor of high-end recording gear to the US and Worldwide. TransAudio helps the industrys inventors build a business through product development working with top level end users and selling to the trade. TransAudio product lines include the best of the best: A-Designs (USA), ATC Loudspeakers (UK), Bock Audio (USA), Chameleon Labs (USA), Geoffrey Daking & CO (USA) Drawmer (UK), George Massenburg Labs (GML USA), SoundField Microphones (UK) and Tube-Tech (Denmark) to name a few. Brian Malouf Brian Malouf (Everclear, Michael Franti, and Dave Matthews Band) is producer and mixer/engineer who has been supporting artists as A&R for RCA, Columbia, Disney and Bandha, his previous boutique label. Malouf credits over 50 Gold, Platinum and multi-platinum albums with millions of dollars in sales. 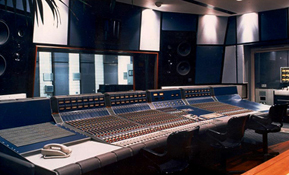 He works from his studio, Cookie Jar in Studio City which has hosted artists to include: All American Rejects, David Usher, Gomez, Angelique Kidjo/Peter Gabriel, Pussycat Dolls, and Switchfoot. Rafa Sardina is a Los Angeles based Eleven-Time Grammy-winner mixer/engineer and producer with a versatile skills and eclectic credits to include: Stevie Wonder, Shakira, Dr. Dre, Luis Miguel, Paco de Lucía, Sheryl Crow, Beyonce and Alejandro Sanz. Sardina who works in major studios in LA and abroad, founded Fishbone Music Productions in 2006 and "Afterhours" studio in Woodland Hills, CA. Dean Serwin is a distinguished entertainment attorney practicing for 20 years in the areas of music, film, television, Internet and games. A graduate from the UCLA School of Law, Serwin has been involved with BMI, Capitol Records, the Director's Guild of America, and several platinum artists including Mick Fleetwood, Everlast and Selena. Current clients include various artists, writers, composers, producers, managers, labels, and other creative people and businesses. 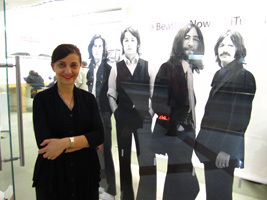 Claris Sayadian-Dodge founded studioexpresso.com in 2000, a production resource for developing artists. Dodge is the publisher and chief editor of studioexpresso's monthly eletters for the recording industry and looks after an Award-winning roster of producers with the affiliated C Artist Management. Past positions include: Management III, PMK, Rogers & Cowan Public Relations, Ocean Way studios, studio bau:ton. Claris is a Grammy member who sits on the board of AFF Film Foundation. She has a BA degree in business and continues to create professional networking events to raise awareness and funds for art and music education programs and worthy causes. Timeless! First glance at the life-size cut out of Beatles in the Apple computer window and you think how "2010" these guys actually look! Consider the fact that the photo was taken circa 1960s! Apple says people snapped up more than 450,000 copies of Beatles albums plus two million individual songs during the Fab Four's first week on sale through iTunes. Apple Inc. says the best-selling Beatles album in the U.S. is "Abbey Road," and the best-selling individual track is "Here Comes the Sun." The Beatles Box Set, which costs $149, is No. 10 on Apple's weekly iTunes top-10 list. 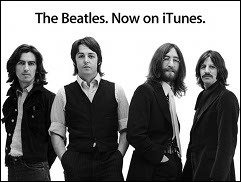 The Beatles' music went on sale on iTunes on Nov. 16. Until then, the biggest-selling, most influential group in rock history has been glaringly absent from iTunes and other legal online music services. Apple struck an agreement after on-and-off negotiations with the Beatles' recording label, EMI Group, and their management company, Apple Corps. Lowlands Away Gets Turner Prize at Tate. Susan Philipsz became the first sound artist to win Britain's coveted Turner Prize on Monday, but her acceptance speech at the Tate Britain gallery was drowned out by noisy protesters opposing cuts to arts funding. The 45-year-old Scot, the bookmakers' firm favorite to scoop the 25,000 pound ($40,000) award, said she sympathized with the demonstrators, who were kept out of sight but not out of earshot at the London awards ceremony. "It was kind of a surreal experience," the soft-spoken Philipsz told reporters in the gallery where her winning voice installation could be heard in the background. She recorded herself singing three versions of the 16th-century Scottish folk song, "Lowlands Away." It was the first time a sound installation had been shortlisted for the prize since it was set up in 1984 to promote modern British art. The installation was exhibited in an otherwise empty gallery. "Drawing on the powerful, immersive properties of sound and the human voice, Philipsz is engaged with the notion of singing as a physical and sculptural experience," the organizers said in a statement. A youtube post says presumably you can buy her "work" on CD for £1.99 The prize is open only to British artists under the age of 50. Prior winners include well-known British artists Damien Hirst and Tracey Emin. Philipsz was up against painter Dexter Dalwood, Angela de la Cruz and The Otolith Group filmmakers. They would each receive 5,000 pounds ($7,800). The prize is named after esteemed British painter J.M.W. Turner. A Vitual tour of Tate Gallery 2010 here! again. It just drives me nuts, said Iovine in an interview with NY Times. We need a real file that can capture music the way it was intended to be heard. Labels have been dumbing down the music for years.Part of the problem, Mr. Iovine says, is the quality of music found on file-sharing sites. You download an MP3 file off of LimeWire and it sounds like its been through a blender, he said. Mr. Iovine said that Universal Music Group is working with Apple to increase the quality of the recording it sends to iTunes. An audio signal is only as good as its weakest link, he said. Among the new products shown at the news conference was Beats Pro, $450 headphones that sit at the top of Beats product lineup. An speaker dock for an iPod or iPhone, the Beatbox ($400), was also shown. In-ear headphones from Beats included the Lebron James-endorsed Powerbeats ($170), which are designed to stay on during workouts and the iBeats, $120 earbuds that, conference attendees were told, were designed (although apparently not priced) to appeal to the youth market. If that market does not respond well to iBeats, Beats also has two versions of their headphones (the original Beats Solo, $200, and the new $120 iBeats) in bright purple. These are called the JustBeats, where the Just stands for teen sensation Justin Bieber, who has also been drafted into the Beats pantheon (Dr. Dre, Diddy, Gaga, Lebron) of endorsers. Bieber spoke to the audience by way of prerecorded video, explaining that as a musician he wanted to make sure his fans heard the emotion of his music. The 53rd Annual GRAMMY Awards will be held on "GRAMMY Sunday," Feb. 13, 2011, at Staples Center in Los Angeles and once again will be broadcast live in high-definition TV and 5.1 surround sound on CBS from 811:30 p.m. (ET/PT). This year's GRAMMY Awards process registered the highest number of submissions ever with nearly 20,000 entries. Our fave catagory nominees for Producer Of The Year, Non-Classical nominees are: Rob Cavallo, Danger Mouse, Dr. Luke, RedOne, and the Smeezingtons (Bruno Mars, Philip Lawrence, Ari Levine). 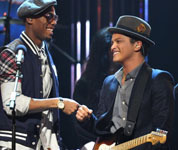 Eminem topped the nominations with 10; Bruno Mars garnered seven; and Jay-Z, Lady Antebellum, and Lady Gaga each earned six nods. Jeff Beck, B.o.B, David Frost, Philip Lawrence, and John Legend received five each; and Alex Da Kid, the Black Keys, Drake, Cee Lo Green, Ari Levine, Katy Perry, Rihanna, the Roots, Dirk Sobotka, and Zac Brown each earned four nominations. "This year's nominations are a true reflection of an exceptional and talented community of music makers that embody some of the highest levels of excellence and artistry in their respective fields," said Neil Portnow, President/CEO of The Recording Academy. Good luck Grammy Nominees! Eminem Gone Mainstream. It's a sign of how much times have changed, and Eminem himself, that his leading nominations were not controversial, but expected and respected. The person with the second-leading tally, Bruno Mars with seven, was not without his own drama this year, after getting arrested in Las Vegas for coke possession; his case is pending. 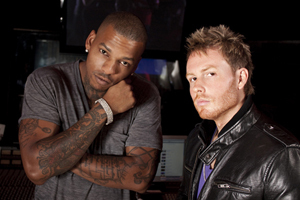 It was the only negative in brilliant year for Mars, who CO-wrote"(Expletive) You" and was also featured on B.o.B's "Nothin' On You," also nominated for record of the year. When Eminem was first nominated for album of the year some 10 years ago for "The Marshall Mathers LP," it marked a milestone for the Grammys as it chose to honor an album that was considered masterful in its artistry yet morally bankrupt in its values. On Wednesday, as the Recording Academy once again nominated Eminem for album of the year along with nine other bids, they again gave accolades to a foul but genius piece of work - Cee Lo's "(Expletive) You," an infectious retro groove with an unforgettable, unprintable chorus. The tune, which is so profane it had to be changed to "Forget You" for radio play, was nominated for two top Grammy honors: record and song of the year. "It wasn't meant to be a radio song," said Cee Lo after the nominations. "It was meant to be something with flair and first impression and it really took on a life of its own, and I had no idea it would become what it is today." Fast forward 2010 and meet Adam Kluger (music school drop out), the budding music mogul who puts the Soda in Pop Songs. Kluger is the founder and CEO of The Kluger Agency (TKA), a full service non-traditional Advertising Agency with a focus on strategic partnerships and product placement within the music industry. TKA handles the needs of both corporations and artists in house, which allows brands to personally work with the artist and TKAs award winning creative team to build integrated advertising campaigns far superior to any other opportunity available in todays market. Eric E-Class Prince, chief executive of Poe Boy Music who represents Flo Rida and other rappers, said he has never heard a complaint from fans about brand-dropping or music video placements. Kluger says he'll reach $5 million in revenue this year with his advertising co, The Kluger Agency. Spalding was nominated for Best New Artist along with Justin Bieber, Drake, Florence & the Machine, and Mumford and Sons. Her inclusion in this mainstream category signifies her considerable appeal to a broad audience. Spaldings most recent release, Chamber Music Society, is a brilliant marriage of string and jazz trio, and a showcase for her eclectic sensibilities along with her vocal and compositional talents. Telarc International and Heads Up International, divisions of Concord Music Group, received 7 GRAMMY® nominations in an array of categories including Best New Artist, pop, jazz, blues and classical. All nominations were for albums released from September 1, 2009 to September 30, 2010. 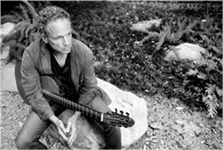 Multi-instrumentalist, composer and producer LINDSEY BUCKINGHAM will be presented with the prestigious Les Paul Award as the highlight of the 26th Annual TEC Awards on Friday, January 14, at the 2011 NAMM Show. The Fleetwood Mac lead guitarist and successful solo artist's work epitomizes the creative application of recording technology honored by the Les Paul Award. TEC Foundation has announced 10 inventions and products it will induct to its 6th Annual TECnology Hall of Fame. Robato Sold Out Concerts! Hatsune Miku has topped the pop charts in Japan, sold out stadium concerts and become a legitimate cultural phenomenon. One small detail. Miku doesn't exist -- at least not in any traditional sense of the word. Miku is a computer-generated avatar that performs songs with the help of a live band. But unlike say, Gorillaz, a cartoon band that merely serves as the public face of an artistic collective, everything about Miku comes from a computer. She is the product of a company called Crypton Future Media, which synthesizes Miku's voice using Yamaha's Vocaloid software. Creating the character -- which appears as a girl with blue pigtails and a cyberpunk version of the traditional Japanese school-girl uniform -- was a meticulous process. First, the creators recorded voice actress Saki Fujita making individual phonetic sounds at a specific pitch and tone. Then, they recombined the samples and fed them through the synthesis software to produce an almost endless number of words and sounds. Users can actually purchase a copy of Miku to run on their home PCs, and have her perform songs of their own creation. Despite Miku's availability for private performances on home PCs, crowds still shell out for live concerts, where Miku is able to whip her legions of fans into a frenzy (as seen in the video). At these sold-out shows, Miku is materialized, so to speak, as a 3-D hologram. She parades and dances around the stage as she belts out pop-rock songs, while her human band provides a musical backdrop for her J-Pop crooning. Diller Deals Accoridng to a Daily Variety report in November, the former Live Nation Entertainment board chairman Barry Diller has dumped 2.5 million shares of the concert, ticketing and management company's stock, according to a Nov. 5 Securities and Exchange Commission filing. 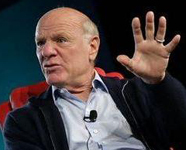 Selling at $9.62 per share, Diller -- who held onto just 10,396 shares -- cleared $24.3 million in the transaction. There are 173.4 million outstanding shares of LNE stock; before the sale, Diller held approximately 1.4% of those shares. Amid rumors of boardroom acrimony, Diller, who heads New York-based InterActive Corp., resigned his LNE board position in September (Daily Variety, Oct. 4). Liberty Media chairman John Malone was named interim chairman of the board. Nelly 5.0 Rapper NELLY launched his own radio show in November and blames his label for poor sales of new album. Sources say he'll play the "biggest and best urban music" in addition to a selection of tracks from his upcoming album, 5.0. Programme director of Choice, Robert D'Ovidio says, "We're thrilled to welcome Nelly to the station. This is the latest in a series of exclusive takeovers on Choice as we continue to provide our audience with innovative and fresh programming alongside the urban songs they love." studioexpresso caught up with Nelly at the Glendale Americana during a brief stop early December. He spoke about his new album and his radio show. In a series of posts on his Twitter.com page, Nelly writes, "A record deal is a 50/50 partnership! As (an) artist it's your job to provide the record company with music that they (record company) can sell! Thing about the partnership is that (in) the public eye the responsibility is not 50/50! The artist is always the 1 who catches 90 per cent of the blame. When (an) artist doesn't deliver sufficient material they gets its budget cut for (their) next album or worse dropped from the label!... Who should be held responsible wen (sic) (an) artist has a history for selling records so it's not like a new artist (and) no1 (sic) knows his (or) her name?... "The fact is that some1 (sic) needs to hold up there (sic) end of the partnership!... If u (sic) only ship 200thound (200,000 copies) of an album how many are u f**king tryen (sic) to sell?? The artist does (not) control that nor does he or she control marketing." Marketeres are you listening? We hear from artists every day from all corners of the world -- France, Germany, Russian, Israel, Asia, Australia and Middle East asking how they can get heard or build their careers. We've decided to feature a letter or phone message each month and share our response with other new artists with similar needs or questions. Our goal remains to empower new artists and encourage them to find their voice and musical path. Most importantly, we're here to remind artists that it's a long journey, so enjoy the process. We encourage artists to provide a link to their music site when they contact us..this way, if a producer or manager is interested, they can be contacted directly. Artist: My name is DiDi, a pop singer, originally from Bulgaria but living in Queens, NY. This is my official website: didi-music.com Music is my life! My mother always said to her: "You are only as big as your dreams are". I wanted to ask if I have your permission because I'd like to send you a press kit via mail. Please get back to me if you have any questions or further requests. Thank you for your time! Meantime, visit production talent at studioexpresso We can recommend someone who fits your requirements or you may send your top 3 choice(s). Thanks. 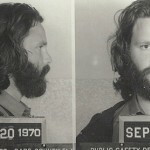 Morrison Pardoned 39 Years Later Jim Morrison, the long-dead and much-mourned lead singer of the rock group The Doors, was pardoned Thursday for a 1969 indecent exposure conviction There was no evidence that linked Morrison to the incident and just one eye witness that would eventually recant her testimony before the trial ever began. Yet the court ruled that he was guilty and sentenced him to six months in jail. He would never serve the sentence as he was freed to appeal the conviction. Outgoing Florida governor Charlie Crist started reviewing the case for a possible pardon he was surprised at how sneaky and underhanded the prosecution and courts had been at the time. I Say A Little Prayer For You. The 68-year-old Queen of Soul Aretha Franklin's is "doing better than doctors expected" and plans to be released from the hospital soon. Cousin Brenda Corbett tells the Detroit Free Press that Franklin "has a long life in front of her and will be back in concert, on stage, late spring or early summer." Franklin announced last week that she had undergone a surgical procedure for pancreatic cancer. Franklin has won eighteen (18) Grammy Awards in total during her nearly half-century long career (she first charted in 1961) and holds the record for most Best Female R&B Vocal Performance awards with eleven to her name (including eight consecutive awards from 1968 to 1975  the first eight awarded in that category). A Good Life. At 97, DR J. Michael Hagopian was planning to direct two films (one about a family in India, scheduled for filming in January 2011). He was also scheduled to meet his favorite director Steve Spielberg at a dinner before his sudden death last week. Michael inspired us with his determination and passion for history, justice and human rights. On April 13, Spielberg's USC Shoah Foundation Institute signed an historic agreement with Dr. Hagopian and the Armenian Film Foundation. The agreement paves the way for the preservation and dissemination of the largest archive of filmed interviews with survivors of and witnesses to the First Genocide of 20th Century. The two organizations will work together to make approximately 400 testimonies of Armenian Genocide survivors and witnesses available for educational purposes through the Shoah Foundation Institutes Visual History Archive. Music Can Fill A Space like Your Heart In Most Unexpected Times and Places. Hear this Holiday Chorus Popping Up In A Public Food Court -- Posted on Youtube and Have A Merry Chirstmas! Until next year...thanks for reading!